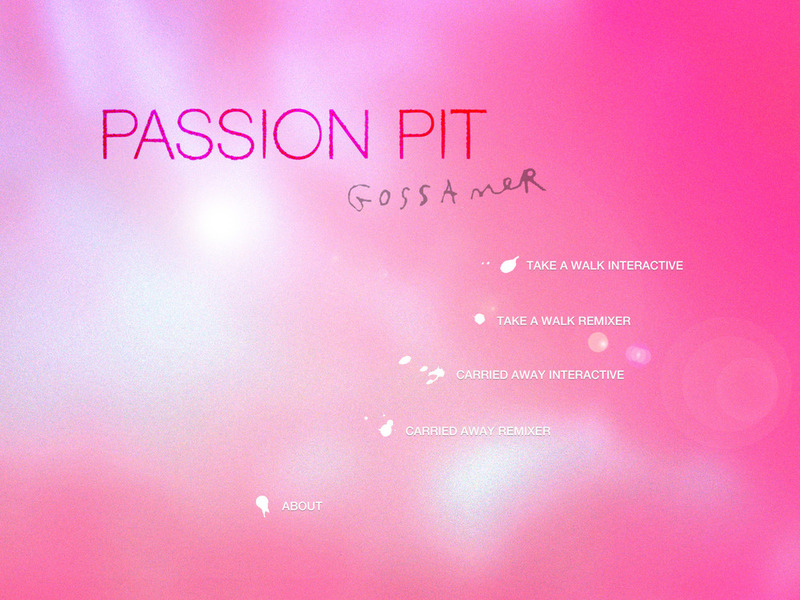 The Passion Pit: Gossamer app project is an experiment in letting Passion Pit fans create their own music videos and make their own remixes. The app contains interactive music videos and remixer displays for two songs from Gossamer: Carried Away and Take a Walk. Each song can be experienced in two modes – one is an interactive music video, where the sequencing of graphics, animation, and photographs by Mark Borthwick are different every time based on user touches. Before launching the app, we created a version of it for a video backdrop for Passion Pit's live performance at the 2012 Webby Awards.